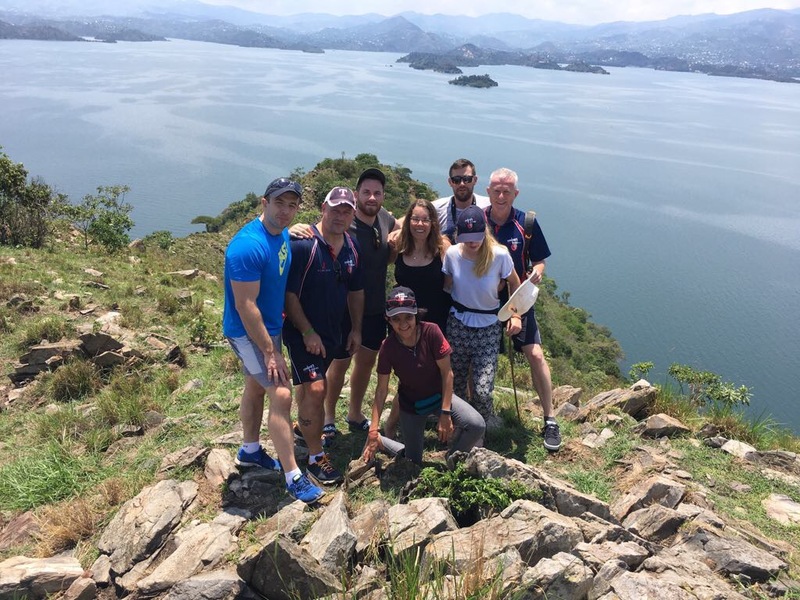 After a leisurely breakfast the team minus Lee (much to his disappointment) set off on a boat trip to an island somewhere in the middle of Lake Kivu. The journey out to the island was surprisingly calm and gave Pete (Spav) a chance to spot some wildlife through his ‘bins’ (binoculars)… even though there wasn’t much other than cormorants. The trip out to the island also gave the team an opportunity to tackle important issues such as which Club biscuit is the best; mint or orange were the obvious choices; but also to see the outstanding scenery around us. 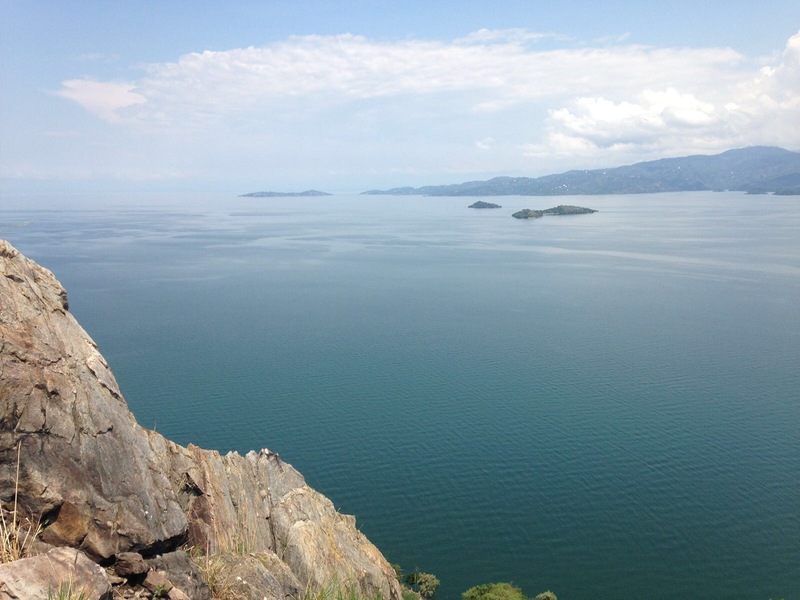 Rwanda is certainly living up to its name of ‘the land of a thousand hills’. Once we reached the island, the boat was expertly parked by our guide, and it became apparent that some of us had inappropriate footwear on as we were confronted by another massive hill. Our guide promptly jumped off the boat and started trekking up the hill with little regard for whether we were behind him or not. I managed to keep up, picking up a big stick proved to come in handy, as the team spread out behind us and on the way to the top we were greeted by hundreds of fruit bats and some cows who strangely seemed to enjoy the altitude. 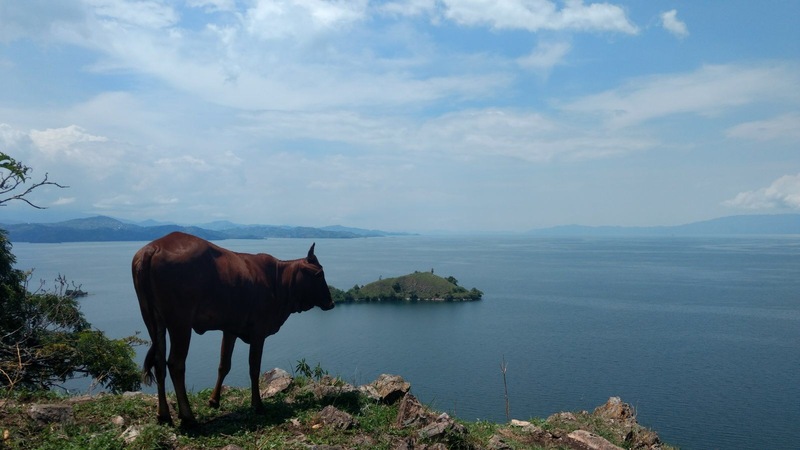 The cows also prompted some interesting conversation such as ‘can cows swim?’ which entertained the team on the way down, as well as the added challenge of dodging the cow poo. The views were definitely worth the climb, and for me allowed time for reflection on how lucky we are to be in such an amazing part of the world. The next stop was another, smaller island which had, as promised, a monkey which turned out to be one of four on the island. To my delight there was more time to explore on this island, with a few good trees to climb and some strange fruit to pick…and also some slippery rocks by the water which almost proved to be my downfall. The way back felt considerably shorter, but there was still lots of wildlife to see including a ‘penguin’ (according to Khush), some more birds and an otter. All round a great morning. Next Post Karongi: Let the coaching begin! Can cows swim? Takes me back to Sammie Smith in Kenya 2014 and a thousand questions during the trip like ” Does Africa have a beach?”. Orange Club defo the best!